A fundamental change is taking place in the role of applied and computational mathematics. The relationship between the modelling, analysis, and solution of mathematical problems in applications has changed. In the past, computational mathematicians treated the physical models as given (for example, Navier-Stokes equations), although in reality these models were also derived. In emerging applications, the choice of models goes hand in hand with the computational tools and the mathematical analysis. Areas such as machine learning, bioinformatics, network science, and medical imaging are increasingly making use of computation and require new computational tractable methods. The techniques of computational mathematics are uniquely suited to these problems. The unifying theme of the semester is the interaction of analysis with computation. 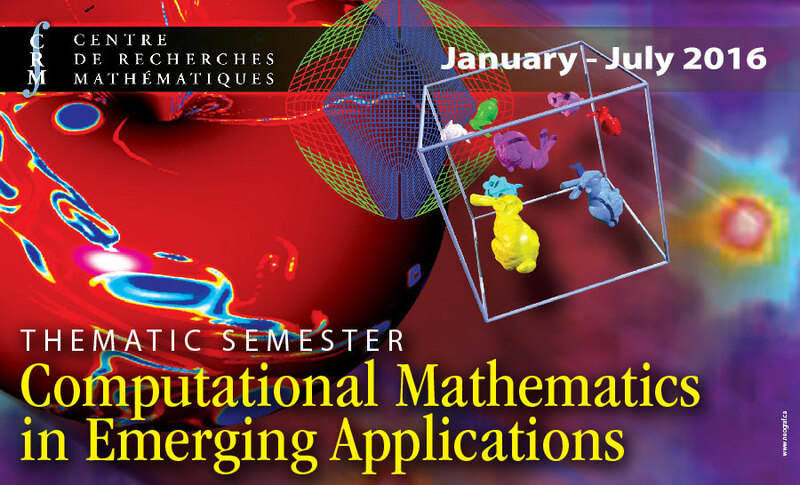 Particular workshops will focus on level set methods, variational problems, materials, optimal transportation, and finite element methods. The program consists of five research workshops along with related mini-courses and seminars. A new joint Courant Institute/CRM seminar series will be organized during the semester.